Are you looking for a reliable digital video repair software that is both free and effective? Often when we record videos at home and watch them on the TV or laptop, we have to deal with other issues to handle related the video codecs. Sometimes your videos in .mpeg or any other format also get corrupted and fail to play properly – they may not run at all or freeze while playing. To manage all such problems it is important to have a quality digital video software. These tools can basically help to repair videos that have a problem and thus allow you to continue enjoying your favorite videos. These programs will help to fix the corrupted files within no time. There are some software that work for only certain codecs while others are suitable for all. You can find a number of digital video repair tools that can fix a variety of formats such as MP4, MPEG, AVI and WMV. Here I have got for you 5 of the best free digital video repair tool that you can use to fix your corrupted file. You can pick anyone of these depending on your preference and format of your file. DivFix++ is a free digital video repair tool that you can trust in case you have to repair videos in AVI format. This free software can fix the damaged AVI files and also allow you to preview any partially downloaded movies from torrent, ftp.web, ed2K or from any other online sources. With the help of the preview you can ensure that the video file name is the same as the real video as well. Making use of this digital video repair tool is very easy. All you have to do is to open the video file you want to repair or drag-and-drop the file into the program’s interface. If you want to add files manually, choose “Add Files” and add a video to the list for repair. This tool allows you to fox more than one AVI files at a time. Simply select “multiple AVI files” option and add them in the repair list. Next, select “Strip Index” tab in order to delete the index section from the video and choose “Fix” to begin repairing the file. It is also possible to run a quick check on your file using the “Check Errors” feature. In addition, the program allows you to cut out any damaged sections of the video by clicking on the “Check out Bad Parts”. In case you do not want your original video files to be overwritten, just choose “Keep Original File”. MP4 Video Recovery Tool is another option that you can go for. 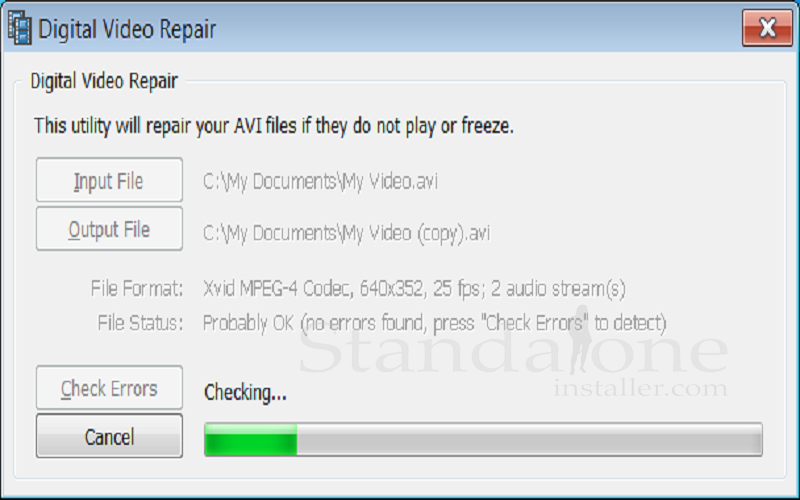 This digital video repair software is designed for Windows operating system, and helps repair only MP4 files. You can use it to repair videos that cannot be played or displays an error when you try to open it. The app needs a Java Runtime Environment to work. To use it, start by choosing the damaged file from your device by clicking “Select Corrupt Video File”. Select “Select Working Video” to choose a working MP4 file developed by the same computer as the one that was damaged. Now choose “Click My File” option to fix the damaged file. Do you know that the popular VLC Media Player can also help to repair damaged video files? Yes, that’s true. Other than playing back your videos, this software makes a great digital video repair tool that helps to fix files with formats such as MP4, MOV, AVI and QTRM. To make the best of this software, just go to “Tools” => select “Preferences” from the drop-down. When you see a window look for “Inputs/Codecs” option and click. Then, scroll down the sidebar and find the section “Damaged or incomplete AVI file” and from that drop down choose “Always Fix”. Save your preferences and now play the video error free. Next you will see a window where you need to click “Inputs/Codecs” option. Scroll down the sidebar and look for “Damaged or incomplete AVI file” section. Choose “Always Fix” from the drop down and save your preferences and play the video. In case it is corrupt the program will repair it. 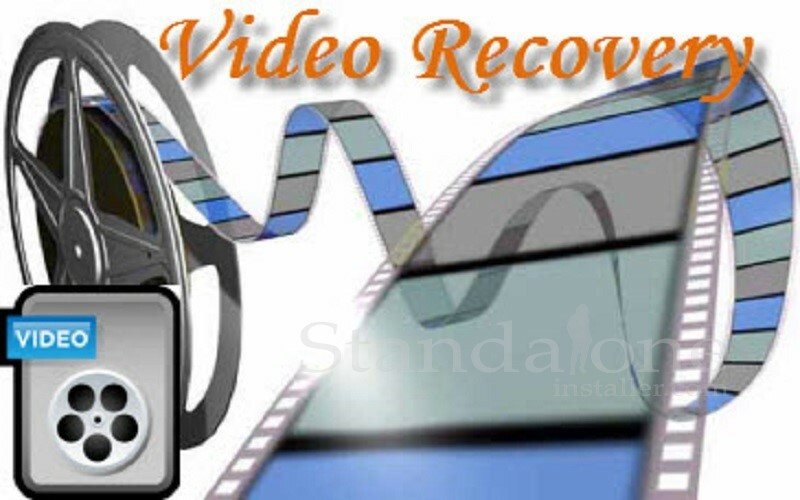 Digital Video Repair is another video repair tool that can be useful to fix your corrupt AVI video files encoded with 3ivx, MPEG4, DivX, Angel Potions or Xvid. With the help of this tool you can fix AVI files with are having problem of visual issues or rough playback or any other problem with the video or audio. The digital video repair identifies the damaged files, fixes the AVI file index and files over 2GB size, repairs AVI files that had problems while recording. The app supports OpenDML AVI and Standard AVI file compositions. It supports a number of languages via the system menu as well. To repair your file using this tool, you need to choose “Input File” option and add the damaged video to the software interface. Look for any errors by clicking on “Check Errors” and any problem detected will show on the “File Status”. Now choose “Repair” for the fixing process to start for the video file. Post the repair and choose the destination folder. DivXRepair is another useful digital video repair tool that you can explore. It helps to fix damaged AVI format video files in your device without having to worry about a thing. Other than fixing broken videos, this tool repairs other issues as well such as freezing of images, pixel discoloration, and loss of audio. All you need to do is to add the damaged files to the list that you want to repair and it will trace and delete the corrupted frames. The best thing about this free digital repair program is that it allows you to select multiple files to fix videos in bulk as well. When the repairing is completed, a pop-up will show that would displays the final report and which comprises the video repair information.